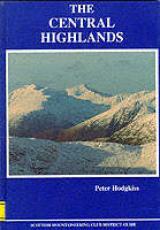 The area described in this book can be regarded as the heartland of the Scottish mountains, bounded by Rannoch Moor, the Great Glen and the Pass of Drumochter. In the south-west corner of this area Ben Cruachan rises between Loch Etive and Loch Awe. Further north-east are the corries and ridges of the Black Mount and the rock peaks of Glen Coe. The district of Lochaber is dominated by Ben Nevis and its satellites, while to their north-east lie the great massifs of Creag Meagaidh and Ben Alder. These and many other mountains are described. There is room also for some of the men who went into the hills long before the modern climber; the drovers of cattle, the builders of roads and railways and the pioneer climbers whose steps we now follow. Their story adds an extra dimension to this book.